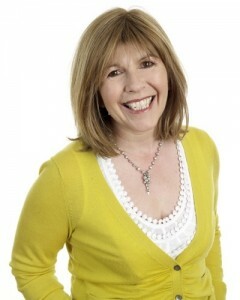 CPHC Patron Maggie Philbin will deliver a Keynote Address at the 2015 Annual Conference on Tuesday 28th April at Queen Mary University London. Maggie Philbin, Patron of the Council of Professors and Heads of Computing, will deliver a keynote talk on the second day of this year’s CPHC conference. The exact title is to be announced soon and will be available on the conference schedule page. Booking will be possible for either both days (27th/28th April) or the second (open) day only (28th April). In addition to Maggie’s talk, an impressive schedule is shaping up (although more is to be announced) for the CPHC Annual Conference this year at Queen Mary University London, on the 27th and 28th of April, the theme of which is Impact. Booking is now available as well as a list of suitable local accommodation. This entry was posted in General and tagged 2015 Conference and AGM, Annual Conference, CPHC AGM, CPHC Conference, CPHC Patron, Maggie Philbin, Queen Mary University London by Vic Grout. Bookmark the permalink.